Manny Pacquiao is considered by most fans, pundits, media members and boxing insiders to be one of the top 2-3 fighter’s of his era. Floyd Mayweather is really the only guy that is securely ahead of the Filipino legend. The boxing world last saw Pacquiao, 59-7-2 38KO, in the ring back in July when he began what was being billed as a farewell “world tour” by going to Australia to fight Brisbane native Jeff Horn. While team Pacquiao had plans on a tour, Horn had his sights set on the Senator’s WBO 147lb title. In what was considered one of the biggest upsets in the sport last year, Horn won a controversial unanimous decision over Pacquiao. If “Pac-Man” walked away from the sport right now and never so much as hit a speedbag again he would be a sure fire first ballot Hall of Famer. His career has just been that damn good. While many people wouldn’t mind seeing him hang’em up, he has different plans. Those plans might surprise some people, those plans are a certain two-time Olympic gold medalist named Vasyl Lomachenko. His team is currently trying to get a fight against Lomachenko, the reigning WBO super featherweight champion. Pacquiao said he hopes the fight could be held in April. It gives him a window of time for him to train while Congress is taking a break. He reiterated what he’s previously said by saying that three months of training is “more than enough time” to prepare for a fight. Lomachenko has a 10-1 record in his professional career after having one of the greatest amateur careers of all time. The Ukrainian has made his last four opponents quit, earning him the moniker “NoMasChenko”. Top Rank CEO Bob Arum would like to get Pacquiao on the April 21 fight card that will feature WBO welterweight champion Horn against Terence Crawford in Las Vegas. “Pacquiao seems like he wants to come back, so we’re trying to get that finalized,” said Arum earlier this week. While he didn’t mention it this time, the longtime promoter has mentioned in the past that a fight between the two is very possible. Last year following the Horn fight, Lomachenko said he believed Pacquiao won the bout against Jeff Horn but he feels the former champion should strongly consider retirement. “I think he needs to finish his career. He’s a legend. He has a very great career. He needs to finish, he needs to rest because now I think he is old. He lose his speed, he lose his all physical condition he lost. It’s age,” he said. The biggest obstacle in making this fight a reality of course would be weight considering Pacquiao has been campaigning at 147 for a few years now and Lomachenko hasn’t fought above 130lbs in his professional career. However, Pacquiao’s longtime trainer Freddie Roach said that his fighter can get down to the junior welterweight limit of 140lbs with no problem. While this fight may be fun to think and talk about all we can do is wait and see and see what transpires over the next few weeks. I will say this though I believe, and have been told by a very credible source, you will see Pacquiao face either Lomachenko or Crawford before this year is up, now which one it’ll be is yet to be determined. 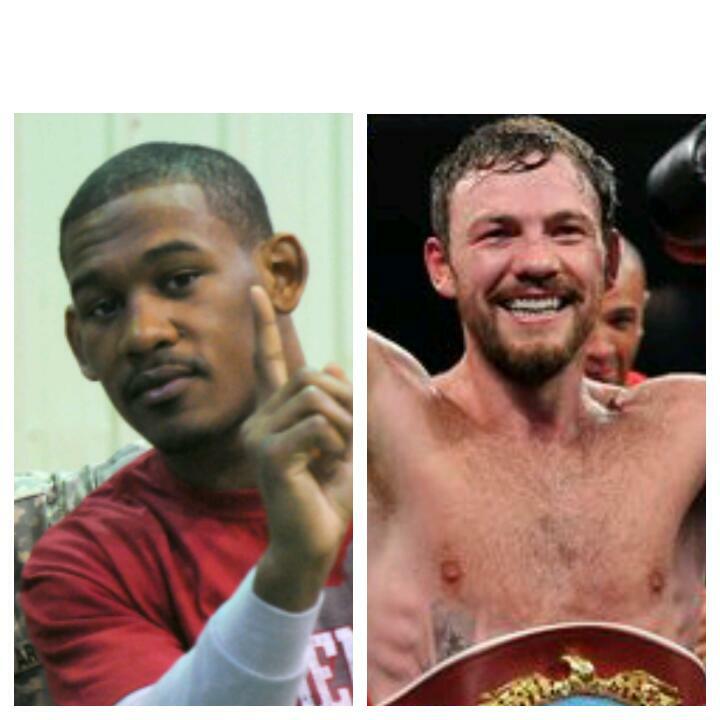 Is Andy Lee Next For Danny Jacobs?